On September 7, 2009, the Inyoni Creek Probus Club was inaugurated and today is the largest Probus club in the country. Sixty-one members accepted the invitation to attend the first meeting – a Charter Dinner. Inyoni Creek resident Vernon Schultz said the Probus grace at that meeting. Six years later, 130 members attended the birthday celebration and once again Vernon said the grace. 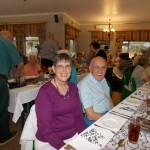 He and his wife Connie are the club’s only honorary members. Being a celebration, a delicious meal was served and the entertainment was provided by Tony Bentel and Selwyn Klass. 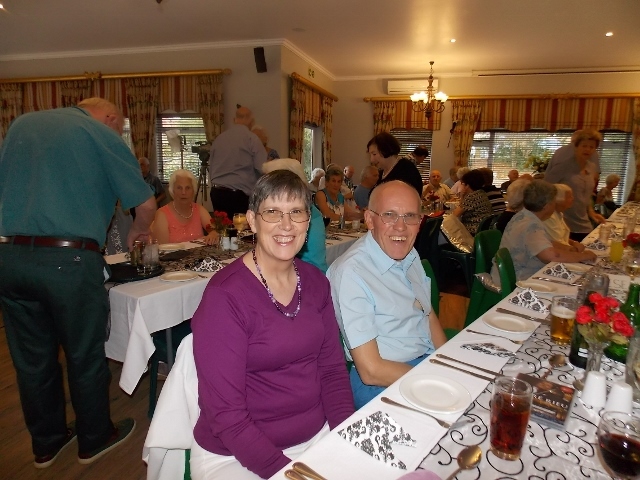 The growth of the Inyoni Creek Probus Club to the largest Probus club in South Africa is thanks to the dedication of the presidents and committee members who have sourced excellent speakers and arranged numerous outings for members and their friends. No small part of the success of the meetings is the provision of tasty meals at all meetings by the Functions Committee; Shirley Moore and her team always go the second mile as they set up the hall and plan the meals. Each gathering is very much in line with Probus’ intention to stimulate thought, interest and participation in activities at a time of life when horizons are narrowing and opportunities to meet people and make new friends are limited.